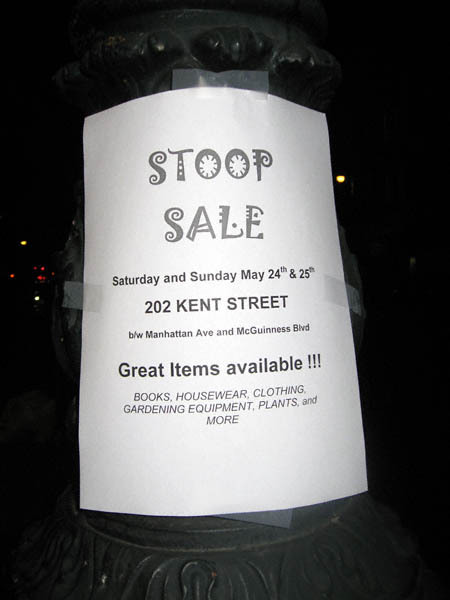 For those of you who are staying in New York City this holiday weekend and have a little money to burn three stoop sales will be held in the Garden Spot this weekend. Here’s a general rundown. 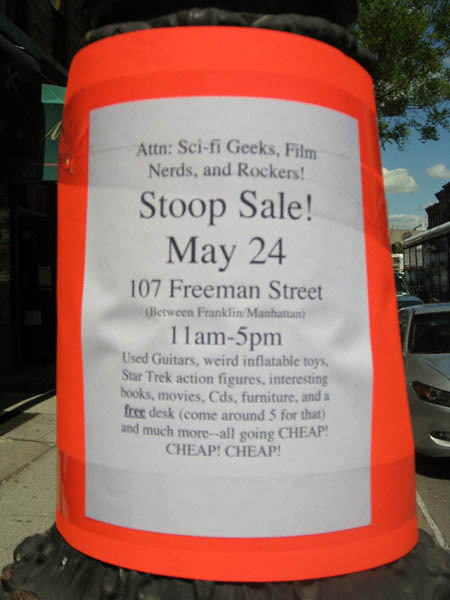 Sci-Fi geeks and film nerds should head over to 107 Freeman Street. Among the offerings promised are Star Trek action figures and “weird inflatable toys”. Anyone seeking a desk should take note: they will have one free for the taking around 5:00 p.m. This sale’s offerings are a bit more pedestrian, but it may very well be worth checking out. Especially if you’re seeking housewares and gardening equipment. Lastly, on Sunday there will be a stoop sale at 103 Huron Street. 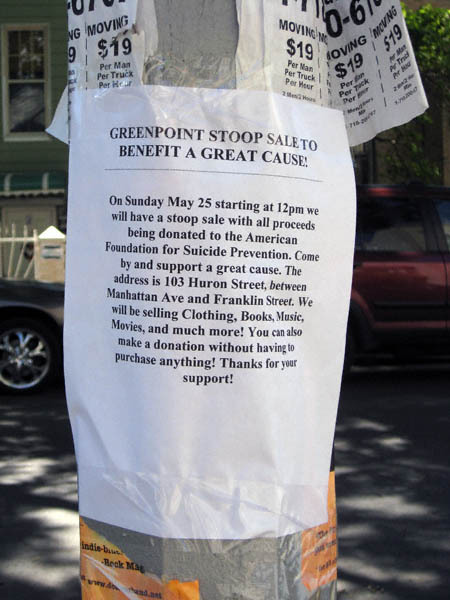 All benefits are purported to go to the American Foundation for Suicide Prevention. Even if you don’t see anything that tickles your fancy you are more than welcome to leave a donation.